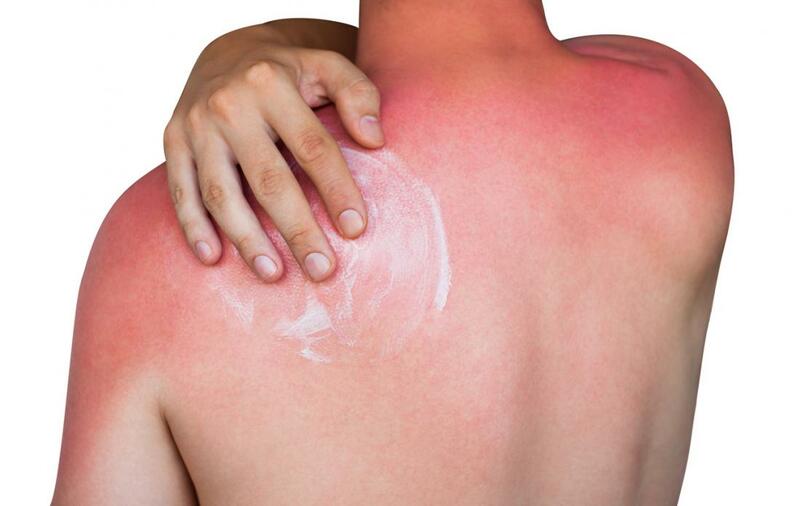 Sunburn is severe damage caused to the skin when it is exposed to extreme ultraviolet radiations in the sun rays. The skin eventually burns, turns red and you feel irritation. This is a defense mechanism of the skin against the intense ultraviolet exposure for even a minimum of 10 minutes. At first, the skin becomes red which is the body’s inflammatory response alerting that it requires repair. Actually, the blood vessels get dilated, and the skin starts getting dehydrated. With the loss of moisture, the skin becomes tightened. The melanin pigment is produced in an attempt to stop UV rays from penetrating the deeper layers and damage the DNA cells due to which repairing mechanism gets stopped. Prolonged exposure to high-level of sunlight results in hypo or hyperpigmentation. Irregular light or dark patches is its indication. Sunburn can even make you feel feverish, cause nausea, headache, and weakness. Once the body stops getting exposed to the sun, the brown skin starts peeling off to get rid of the damaged cells. Use shades and umbrellas to protect yourself from direct sunlight. Going outdoors during the peak hours of the sun i.e., 10 am to 3 pm must be avoided. Clothes (long sleeves and pants) with an ultraviolet protection factor are suggestible.UPF (Ultraviolet Protection Factor) 50+ helps block 98% of UVA/UVB rays. Use sunglasses with UV shield. If you are using hats, use wide-brimmed ones. Applying good sunscreen lotion is an effective prevention technique. It has to be applied 15 minutes before going out. Use the sunscreen lotion even on the cloudy days during summer time. The sunscreen should be a broad spectrum ( UVA, UVB protection), water-resistant and one with at least SPF 30. Keep in mind that the UVB rays can reflect from surfaces such as ice, sand and snow to increase UV exposure. UVA rays can penetrate through glass, such as your car window. Apply sunscreen after every two-three hours if you are sweating heavily. Neck, ears, the top of the feet and the bald head are some places we ignore while applying sunscreen, which we should not. Click here to know about Common health issues and remedies while travelling. One should cover up the sun-tanned skin and expose it only at night. Place a wet, damp towel on the sunburned skin. A cool bath is required for a longer time without the use of soap. Use moisturisers regularly to keep the skin from drying up. 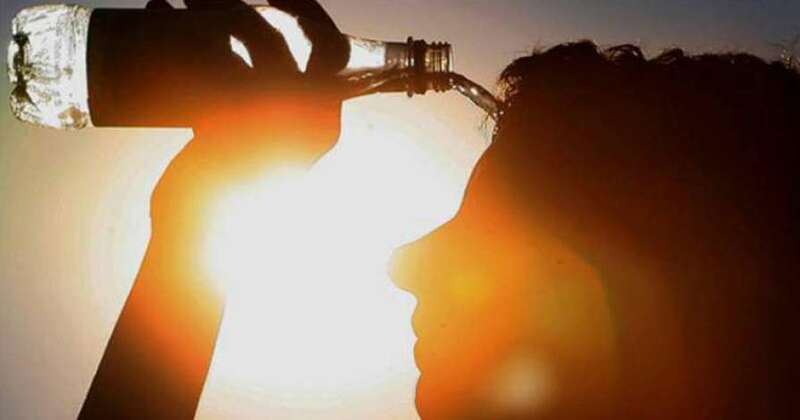 Drinking more water is essential to keep away from dehydration due to sunburn. Use non- steroidal anti-inflammatory medicines on doctors advice. Once the sunburn occurs, the body has to be covered with loose, soft, breathable clothing. Skin cancer can be caused due to repeated sunburn; hence protection must be taken every day all year round. 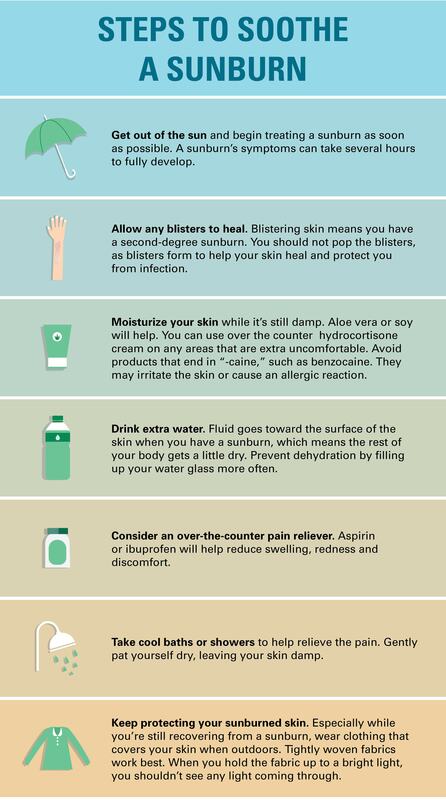 Stay out of the sun until your sunburn heals completely. Suntanned skin with blisters and oozing pus. If the blisters cover more than 20% of your body. Reduced urination, dizziness, dry mouth and severe fatigue are some severe signs of dehydration. 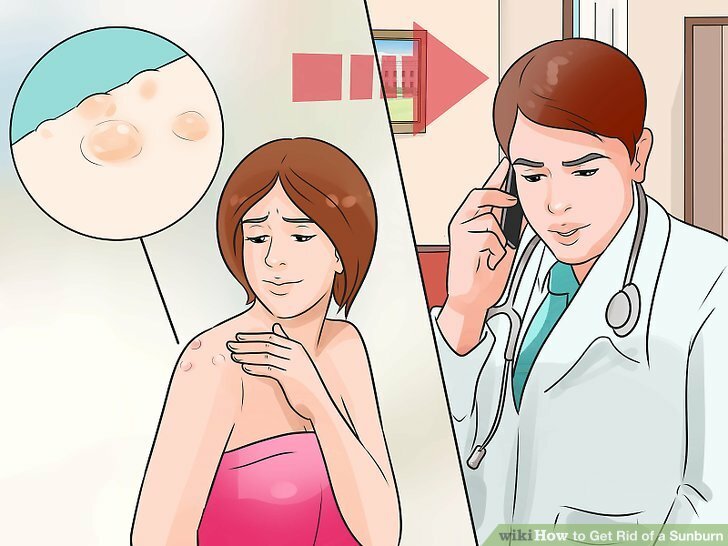 For more questions on sunburn, or to learn better prevention techniques, consult a qulaified dermatologist. 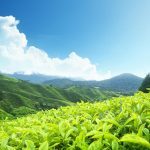 Also read Medicines and Vaccines you might need during your trip to Kerala!